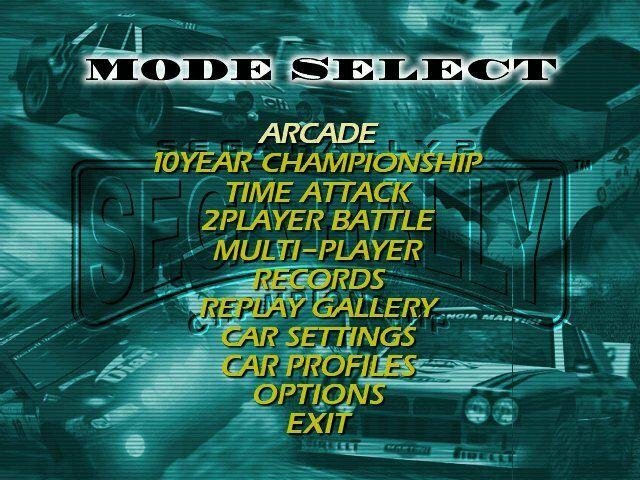 Arcade rule no.1 – it’s gotta be fast, repetitive fun. 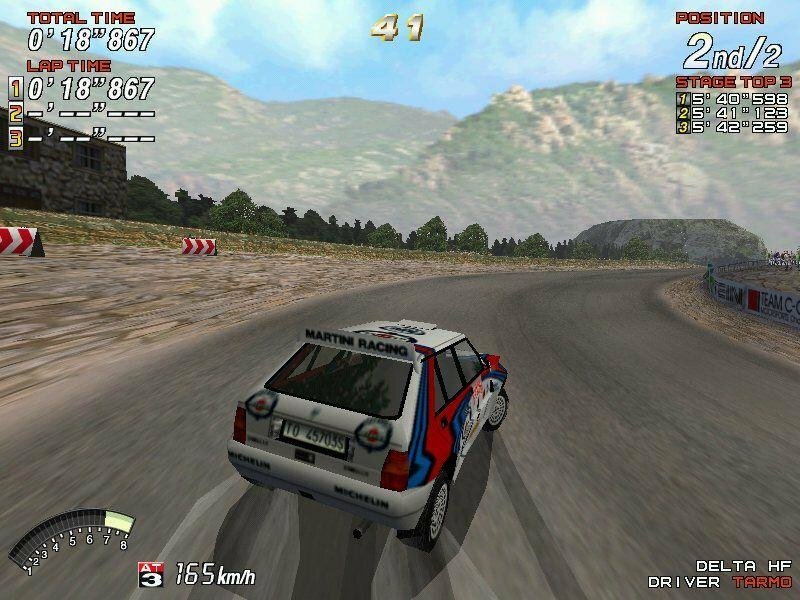 A great home port for its time, SEGA Rally 2, sequel to SEGA Rally Championship, boasts a new engine, more tracks with finer details, a greater level of car customization and a broader selection of cars all-around. In all this is a fine advancement to the original arcade-oriented racing game from the same company, and an absolute hit on the console market. 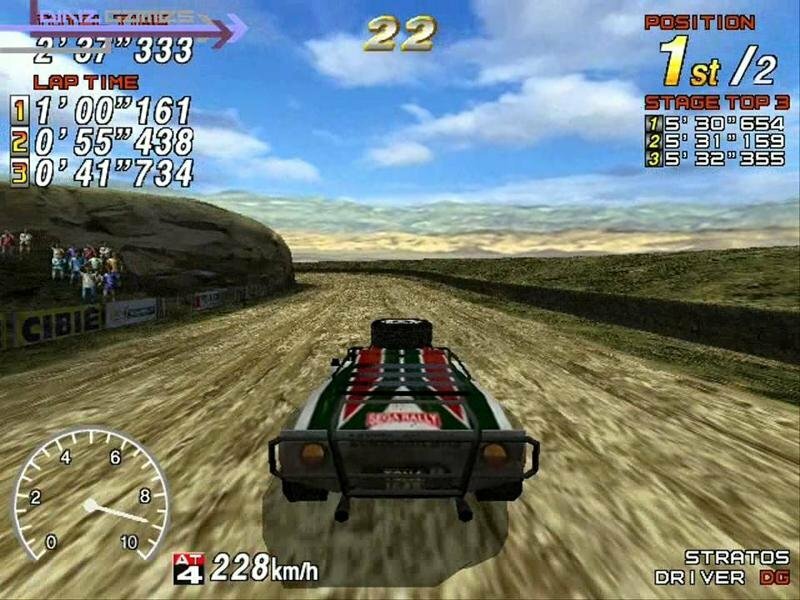 Race up to six different cars on seven outdoor tracks in this PC conversion of Sega’s arcade racing game. 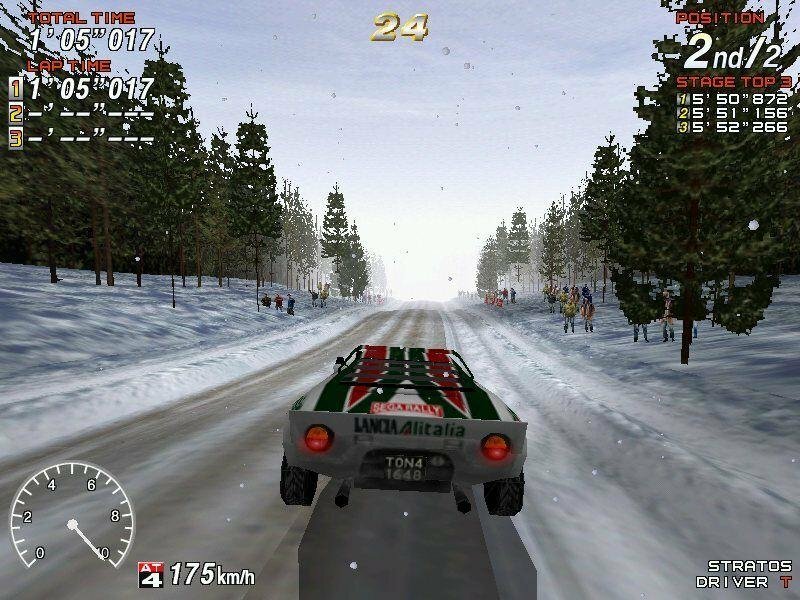 Sega Rally Championship 2 has a “revved-up” 3D game engine and other features like weather that affects driving conditions, new car settings (like Gear Ratio, Handling, Front and Rear Suspension, and Brakes), and a Championship mode that runs up to 10 full seasons. 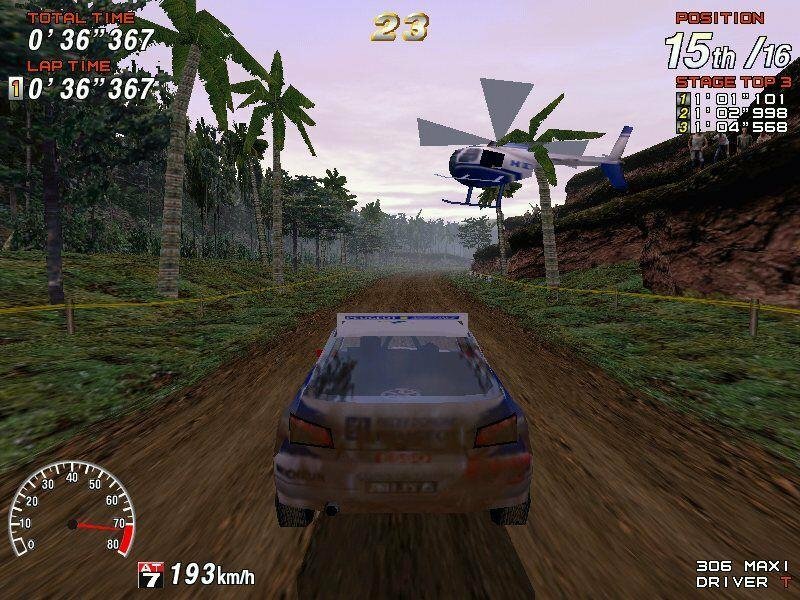 The multiplayer Link Mode allow up to eight players will be able to race via LAN, TCP/IP, modem, or serial link. 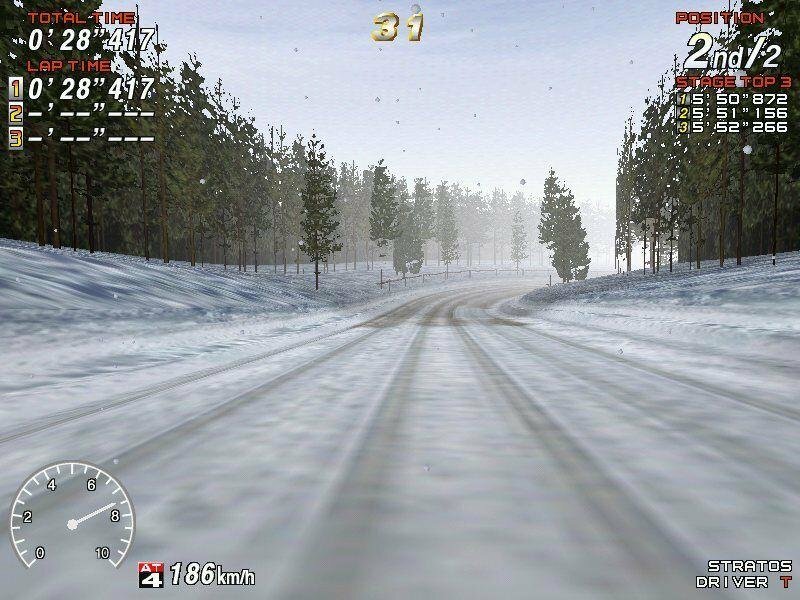 Other PC features include Direct3D and force feedback support for game controllers. 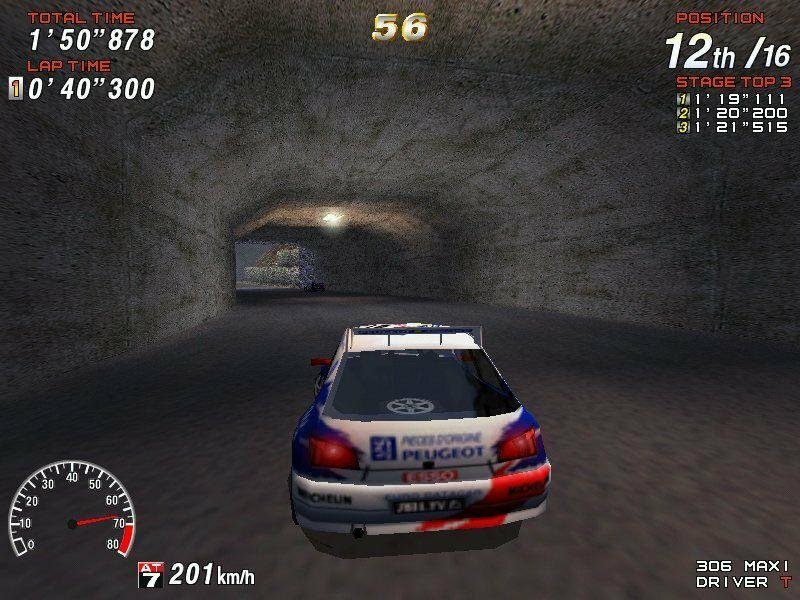 You’ll notice the physics model give the cars an actual feel of weight and inertia as you corner. 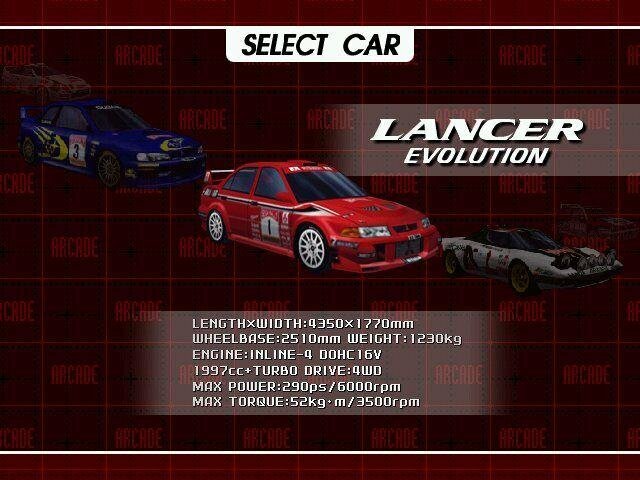 While not quite as advanced as those from Gran Turismo, it’s still good enough to make the game interesting to drive. 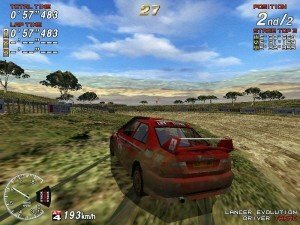 It’s only a shame that there’s no real damage modelling. Trash your car all you want and you’ll still have it in perfect working order, if in a more muddied state. 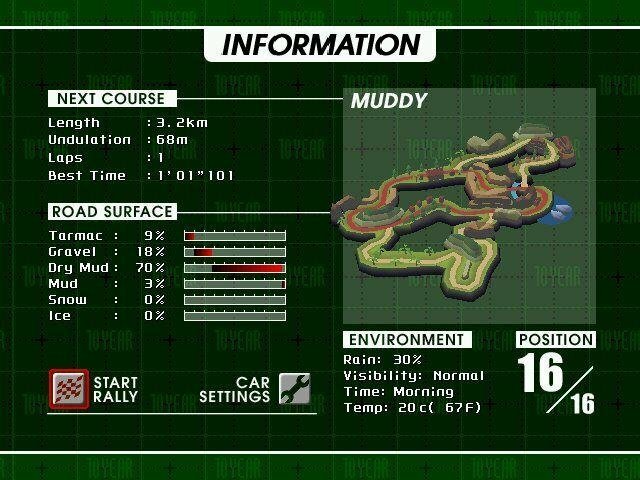 Overall this is a pretty good racer with lots of nice trimmings and one that’s pretty easy to enjoy.